The NBC Political Unit asks what to call the contacts, if not collusion, coordination or conspiracy. A coincidence? Ignorance? Special counsel Robert Mueller's indictment against 12 Russian intelligence officials helps shed light on how the Trump campaign actively seized on outside interference in the 2016 presidential election, according to the NBC Political Unit. Wittingly or unwittingly, associates of the campaign communicated with members of Russian intelligence, which posed as independent hackers when stealing and sharing documents stolen from Democrats, according to Mueller's indictment, previous reporting and the public record. Among those contacts is a June 2016 meeting at Trump Tower between Donald Trump Jr., Paul Manafort, Jared Kushner and a Kremlin-connected lawyer, after Trump Jr. was told the Russian government had dirt on Hillary Clinton. 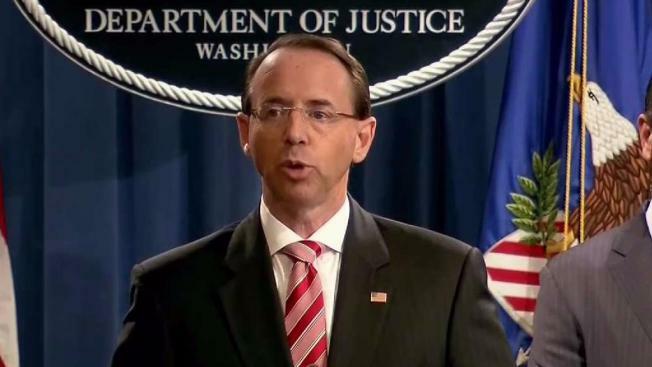 While Deputy Attorney General Rod Rosenstein said Friday that "there's no allegation in this indictment that any American citizen committed a crime," the NBC Political Unit asks what to call the contacts, if not collusion, coordination or conspiracy. A coincidence? Ignorance?